Do you remember the song with the lyrics - “…there ain’t no party like a Paragon Party…”?! 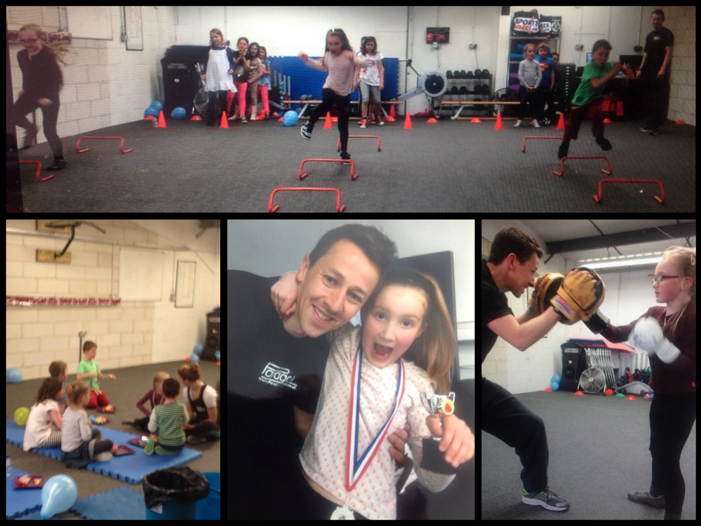 Well I may have got the words a bit jumbled but the other weekend at the studio we held another great Kids Boxercise Birthday Party for the daughter of one of our Platinum Members. Everyone had a great time and earned their medals and slice of birthday cake – plus you can see that the birthday girl was really pleased with her trophy!! If your child might like to try something different for their birthday we can cater for up to 20 kids (16 is the ideal) and put them through their paces with lots of fun and medals at the end. Just £95 for a 1.5 hour party, you just need to bring the kids and cake and we take care of the rest! (The parties are currently only available on Saturdays from 12pm).